When people in Tulsa, Oklahoma, decide to file for divorce, they often require the assistance of a knowledgeable attorney. 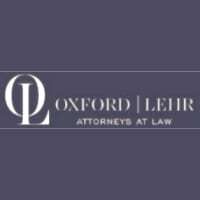 At Oxford Lehr Attorneys at Law, we are dedicated to representing clients who are struggling with issues involving divorce, guardianship, child custody disputes, parenting plans, property division and other family law matters. During a free initial consultation, our team focuses on researching the details of each case. We partner with our clients to achieve the best outcome possible. At Oxford Lehr Attorneys at Law, we understand that going through a separation or divorce may be stressful, overwhelming and financially draining. Our compassionate attorneys strive to simplify the divorce process, not only for our clients, but for their families as well. Founding attorneys Ben Oxford and Hans O. Lehr have years of experience successfully litigating cases for our valued clients. Whether the situation can be resolved through mediation or requires a more forceful approach, our law office keeps the best interests of our clients in mind. Our flexibility, acute attention to detail and commitment to our clients’ needs allow us to focus in on what is most important. In addition to serving clients with family law matters, our law office handles personal injury and workers’ compensation cases. To reduce the financial burden people often experience during this time in life, we take credit cards as payment for our services.